The Korb Brothers - Authors of Marry Me! Darren and Daniel Korb have been brothers for as long as they can remember. They began their collaboration when Darren was just 5 years old in the short film Don't Bean Me!. Growing up, they worked together on-stage and off. Daniel gravitated towards directing, writing, and editing TV and film, while Darren turned to Music. 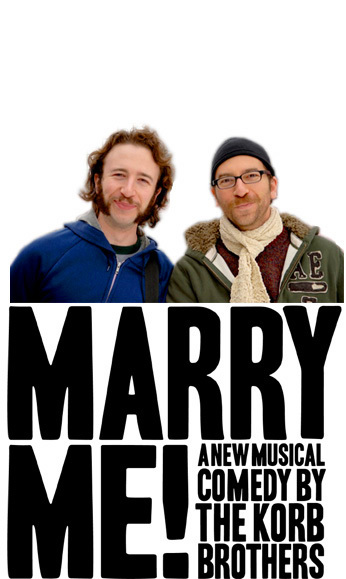 For Darren and Daniel Korb, writing a musical comedy about best friends seemed the perfect collaboration.